The blaugranas secured an important win against Valencia Basket by one point (70-71). In the opening moments, Barça Lassa struggled to impose themselves on the game. 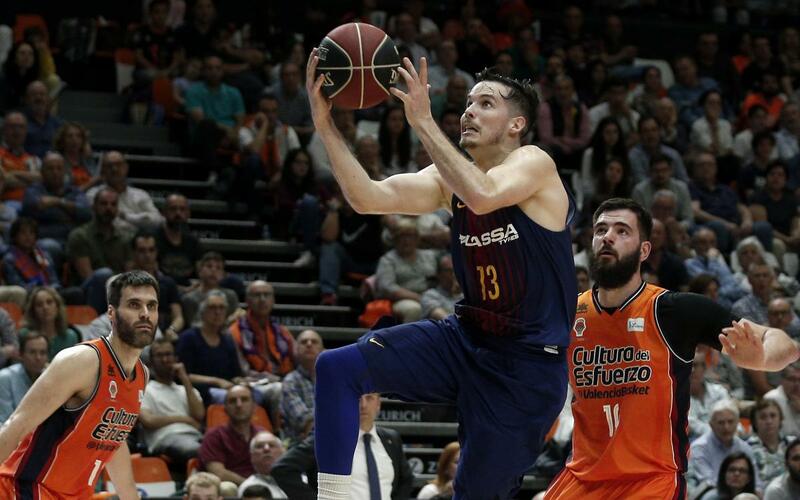 However, Pesic’s side responded and they settled into a rhythm in which both teams traded scores right up until Barça Lassa won the game thanks to a Hanga block. Heurtel top scored 15 points to help put the blaugranas one point ahead. The win means they will finish the regular season in third. Barça Lassa excelled in terms of rebounds with 20 before the break and an impressive 33 at the end of the game. The blaugranas’ attack got going in the second quarter to make up for the 21-14 disadvantage at the end of the first quarter. Barça Lassa improved their accuracy, especially with three pointers, and they went into the break two points behind (36-34). The blaugranas’ intensity allowed for the scores to change constantly right up until the end. Koponen and Heurtel led the charge for Barça Lassa. It ended with a flurry of activity. The home side drew the game with 24 seconds to go. A Heurtel basket and then a Hanga block gave Barça victory at the death. This means, Barça Lassa will finish the regular season in third place and will face Unicaja, Gran Canaria or Andorra in the play-offs. They host Tecnyconta Zaragoza at 8.30pm CEST on 24 May in the final regular league season fixture.